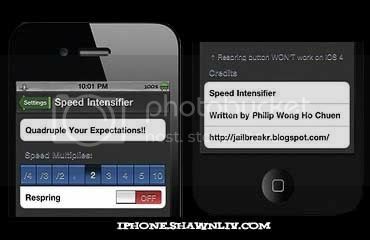 In brief, this app speed up your devices to Dectupl and it doesn’t drain batteries.Consequently, your iPhone will run much more faster. Besides, it maintain same speed throughout applications and works well with SBRotator, Barrel, vWallpaper and etc. Video that demostrate the different setting of Speedintensifier as well as the outcome.